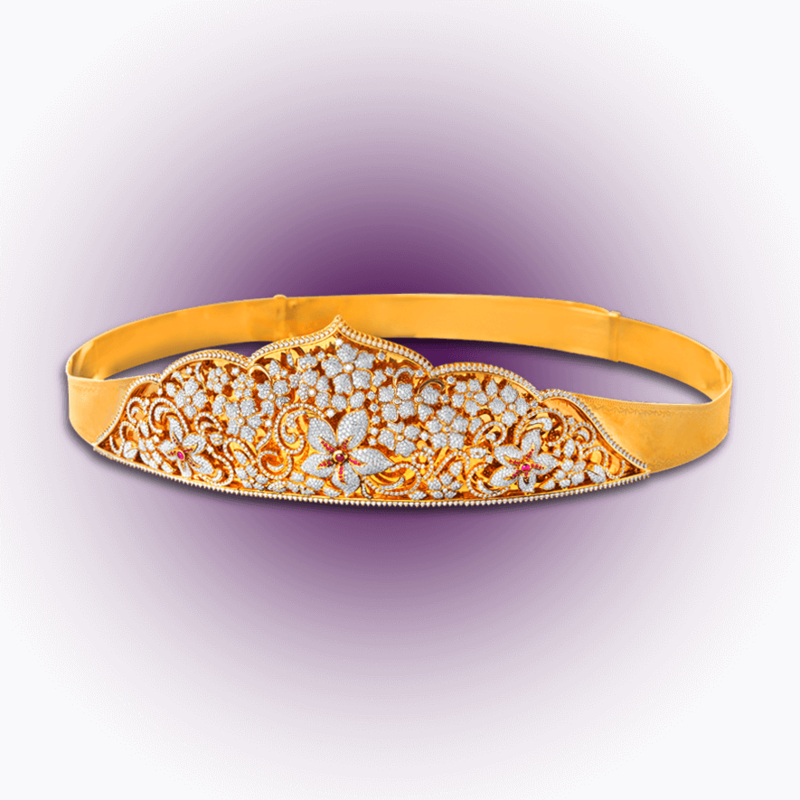 Flaunt your waist with this unique bridal waist belt Crafted in 18k yellow gold A band of brilliant round cut diamonds and rubies Oddiyanamflawlessly complements the traditional Indian bridal look . . .
22k yellow gold open setting single piece vanki The formal design of the bajuband is softened by the clusters of gold balls and pearls that adorn the edges Enchanting centre piece made up of a . . .